Hanoi (VNA) - Deputy Prime Minister Vuong Dinh Hue has approved a list of 406 State-owned enterprises (SOEs) marked for divestment from now until 2020. The divestment list, proposed by the Ministry of Planning and Investment, aims to raise funds for the nation’s public investment plan for the 2016-20 period, and advance the SOE restructuring process. Under the new schedule, the State will divest from 135 businesses this year, 181 in 2018, 62 in 2019 and 28 in 2020. The total face value divestments from 2017 to 2020 are estimated at 64.46 trillion VND (2.82 billion USD). The Ministry of Industry and Trade, representing the State, will divest 52.47 percent of its stake from the Vietnam Engine and Agricultural Machinery Corporation (VEAM) this year, and other 36 percent by 2020. VEAM, established in 1990, mainly manufactures agricultural machinery. The company has 20 subsidiaries nationwide, including Song Cong Diesel Limited Company, Southern Vietnam Engine and Agricultural Machinery Company Ltd and An Giang Mechanical JSC. The Ministry of Transport (MoT) will divest from two of its major corporations: the Airports Corporation of Vietnam (ACV); and the Vietnam Airlines Corporation (VNA). From 2018-2020, the MoT will divest 30.4 percent of its stake from ACV. The State, which currently owns 95.4 percent, will maintain a 65 per cent ownership after divestment. The ministry will also sell 35.16 percent of its 86.16 percent stake in national carrier Vietnam Airlines by 2019. In February this year, 107.66 million shares in the airline, or 8.77 percent, was sold to its strategic partner – Japan’s ANA Holdings. With this sale, the carrier completed 38 percent of its plan to sell shares to strategic partners. Deputy PM Hue has asked ministers, heads of Government agencies and chairpersons of major cities and provinces to participate as needed in the divestment process. They should strictly exercise their representation rights of State-owned capital with the State Capital Investment Corporation (SCIC) per regulations. After receiving the representation rights from concerned agencies, the SCIC will be responsible for divestment, according to the new decision. The decision says that before the 25th of the last month of every quarter and before December 25 every year, the ministries and localities will have to send reports on their divestment activities to the Steering Committee for Business Renovation and Development, the Ministry of Finance and the Ministry of Planning and Investment. Beyond this list, separate decisions will be issued for divestment from certain special businesses in the agriculture and forestry sectors, subsidiaries of economic groups and large State corporations that have not been equitised, some businesses managed by the Ministry of Defence, the Ministry of Public Security, major cities and the SCIC. 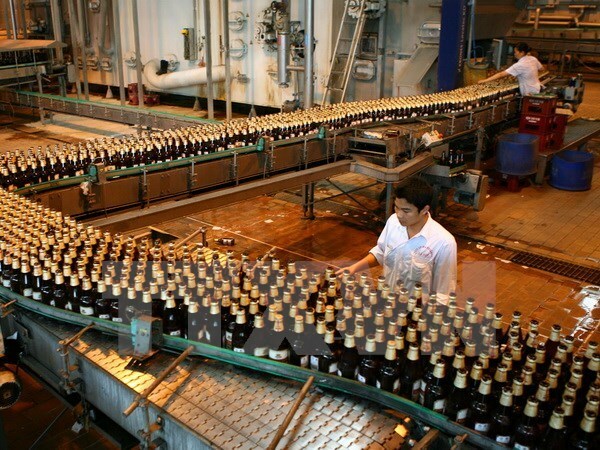 This will also apply to companies like the Hanoi Beer Alcohol and Beverage Joint Stock Corporation (Habeco), Saigon Beer-Alcohol-Beverages Joint Stock Corporation (Sabeco), Transport Hospital, Cable TV provider Vietnam Satellite Television (VSTV) and Vietnam Broadcasting Tower Investment Joint Stock Company, the decision says. Dang Quyet Tien, Deputy Director of the Finance Ministry’s Corporate Finance Department, said the announcement of the list was an important step, allowing prospective investors to know about the State’s divestment plan in detail.